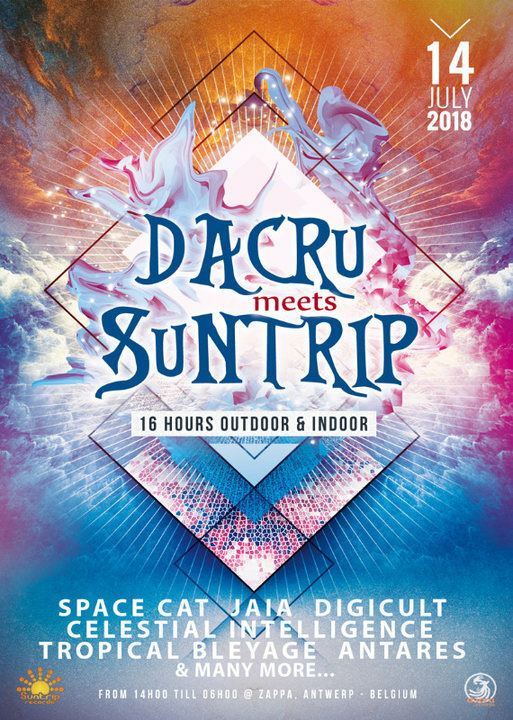 Dacru Records invites Suntrip for a two in one party. Suntrip hosts the oldschool open air stage and Dacru hosts the full on indoor stage. If you have a birthday on July 14th or 15th you can get in for free, show your ID at the entrance.